I think everyone is trying to eat better for their health, and subsequently, their pocketbooks. Information abounds in money-saving tips, grocery shopping tactics and ‘Quick! Fast! Cheap!’ meals are everywhere. I’m thrilled that Springtime, and the return of fresh produce is commencing. It changes the whole tone of what happens in my kitchen, and on our plates. There are sweet baby lettuces that need barely a gasp of fresh squeezed lime juice and a tiny drizzle of balsamic, rich asparagus stems in a quick sputtering stir-fry and tiny crisp radishes dredged through a bit of french sea salt. I keep dreaming about main-dish salads of smoky grilled vegetables. I long for summer cherries, melon season and corn plucked from the field that morning, dew still clinging to the leaves and tassels. It can’t come soon enough. I long to retire my soup pot and clean out the oven; bye bye rutabagas, thick skinned squashes and heavy braises. Nights may still need those extra blankets, but this girl’s in the mood for new food. I’ve started to move a little from winter’s heavier fare to quicker, simpler and more varied eating, mostly by fulfilling my current hankering for anything cabbage related. This isn’t the most spring-like of offerings, but it’s cheap, chock full of excellent nutrition and it keeps like a trooper in the fridge when properly wrapped. I’ve been a fan of cabbage since I was a little girl. It was one of my Mom’s continual offerings. She would chop up an entire head of green cabbage, place it in the ‘cabbage tupperware’ (reserved only for that use) and then pour on some Good Seasons Italian dressing and grate a bunch of pepper over it. The cover would be pressed into place and she would shake that thing like crazy. I can still hear the sound of all that cabbage being tossed around. 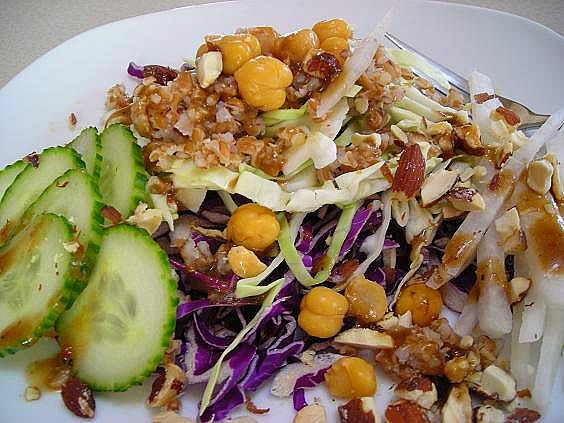 Cabbage makes me think of her and I still love it with little else besides that same dressing, doctored in my own fashion, tossed with a handful of chopped almonds for crunch and extra flavor, although there’s far more to this humble vegetable than most people ever realize. Cole slaw is a very favorite dish of mine as well, only I am not one to beam and shout over most recipes, drenched as they are in a mayo based dressing to the point of giving the term ‘limp and soggy’ a run for its money. Although that tastes pretty darn good on a pulled pork sandwich, from the end of a fork it doesn’t resonate quite so beautifully. Coleslaw needs to be made and eaten quickly. It’s one food where ‘leftovers’ in my fridge tend to cause immense shuddering and a wrinkled nose. The whole idea of coleslaw has changed dramatically in my mind, thanks to the endless food blogs that pour out every variation of the stuff. 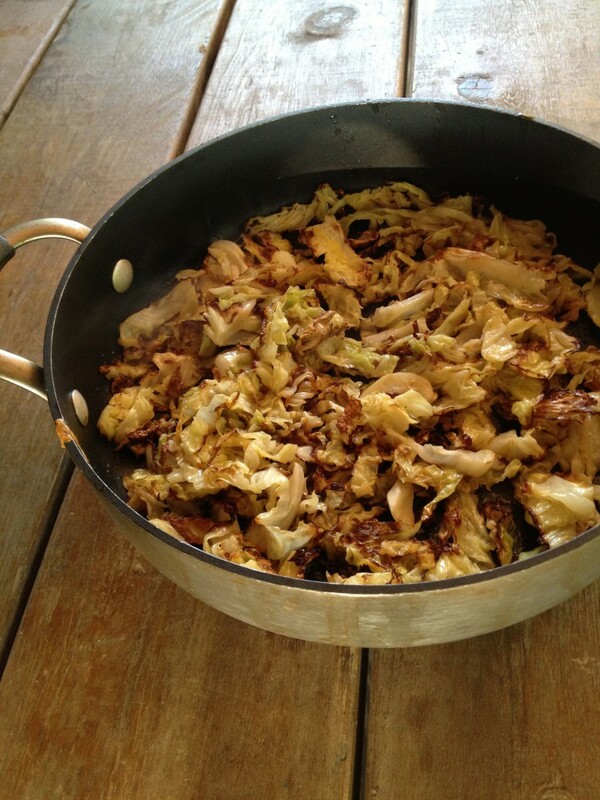 It isn’t just about the cabbage anymore, and by definition, if it adds something more, is it still just humble coleslaw? This recipe evolved from several sources and plenty of inspiration. 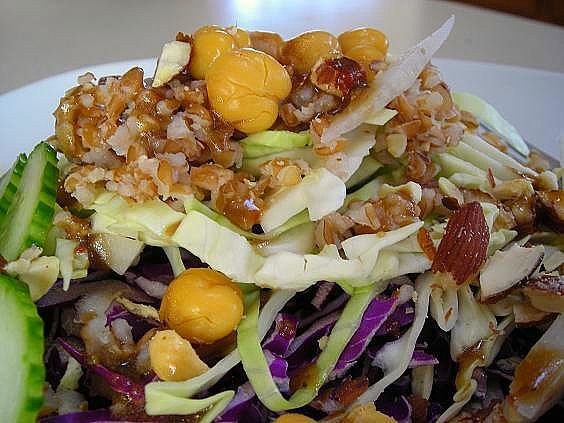 It mixes green and red cabbage, jicama sticks, garbanzo beans, cooked bulgur and chopped almonds, with a few cool cucumber slices on the side for color and crunch and in return, it promises you a plate of superb antioxidant protection, a powerhouse of vitamin C, omega-3 fats, whole grain goodness and loads of crunch. It sticks with you long after the fact too, with an amazing amount of fiber that leaves you feeling satisfied and full without being too overbearing. No one needs food to continually outstay its welcome; these days we want a good meal without wishing for a sofa and pillow afterwards. 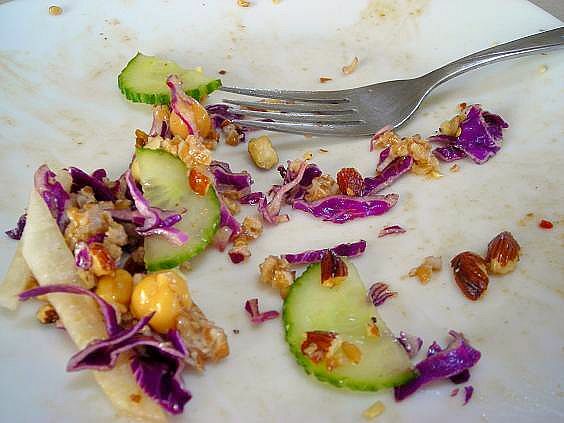 And it’s so good that it won’t take long for you to turn a lovely pile of vegetable goodness into a near bare and heavily appreciated empty plate. This is also a perfect offering for the blogging event happening over at Mele Cotte- Cooking to Combat Cancer. Chris is now in Year Three of being cancer- free and calling all food bloggers to offer up recipes with cancer-fighting appeal. 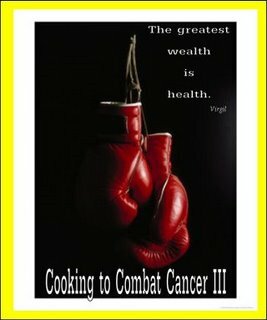 There is no shortage of good people around me fighting with everything that they have against the ravages of cancer, and this event can help everyone arm themselves with good tools to put in their pantries and tummies that will offer some support to a body that is constantly exposed to an wide range of harmful properties. I owe an enormous amount of my well-being and overall health to the foods that I eat; whole foods, plenty of vegetables and fruits, lean meats, whole grains, nuts; it’s all there. 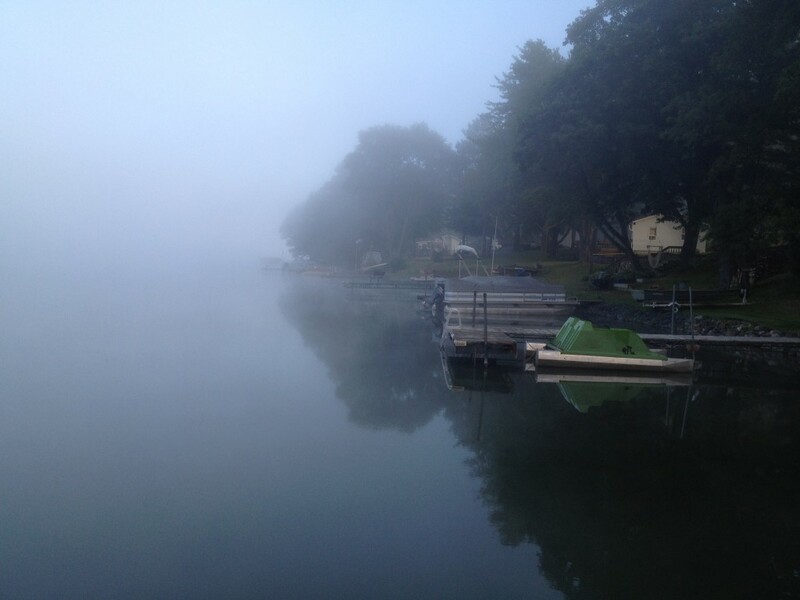 I stepped up my efforts to make our meals even better over the winter, and we were rewarded with only a smattering of illness that took little time to disperse. While food itself isn’t the only way to stay healthy, it’s one good tool you can use to help your body be at it’s very best. Combine all ingredients in large bowl and toss to mix, adding dressing to taste and seasoning with fresh cracked pepper or a dusting of good sea salt. Allow to sit for 15 minutes to allow flavors to blend. Obviously, endless variations on this abound. It’s almost silly to make a cut and dried recipe out of it. I would have added carrots if I had some. Shredded apple would be delicious. 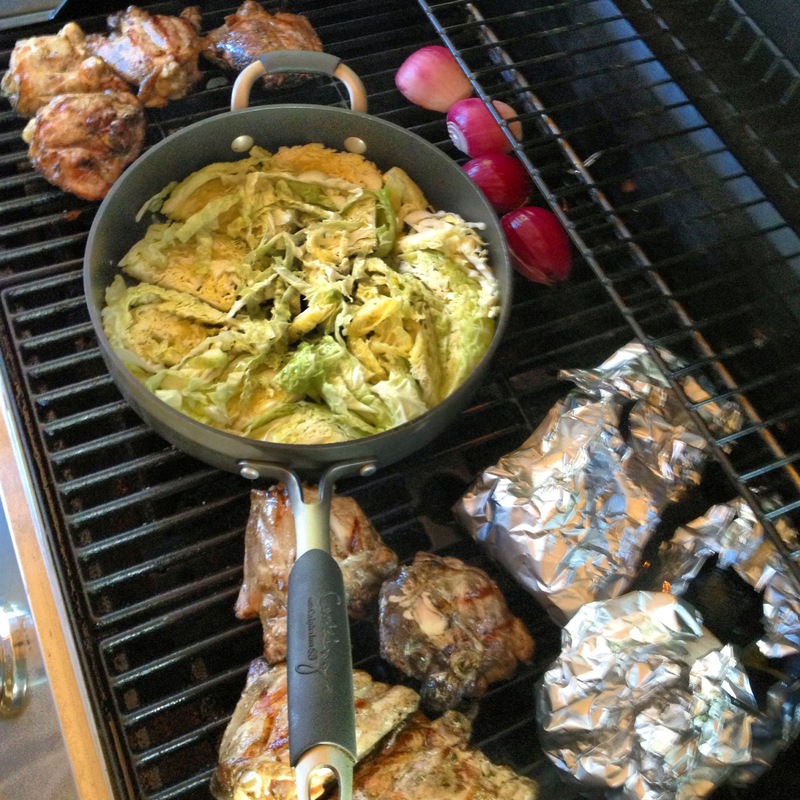 I love the addition of shredded bok choy and napa cabbages to my slaws also. Vary the dressings too for a different flavor profile, like an asian style with sesame seeds. Change up the nuts, the beans or the grain.